Bourbon Street—a festive, raucous, colorful, vibrant area of New Orleans—may soon seriously diminish the amount of traffic that passes through its corridor. The Washington Times reports officials are currently mulling over ways to make Bourbon Street and the area around Vieux Carre safer. The move comes just a couple months after tragedy struck the area. As TravelPulse also reported at the time, a fatal shooting took place following a Saturday college football game. Because of the game, there was an increase in police in the area. The current plan, however, seeks to do more than simply add peace officers to the popular tourist destination. In fact, officials are seriously considering shutting down Bourbon Street to vehicle traffic—at least during a portion of the day, possibly opening for delivery times. The theory is that a decrease in car congestion would seriously deter terrorists from considering an attack in the area using a vehicle as a weapon that might drive straight through the immensely crowded area. 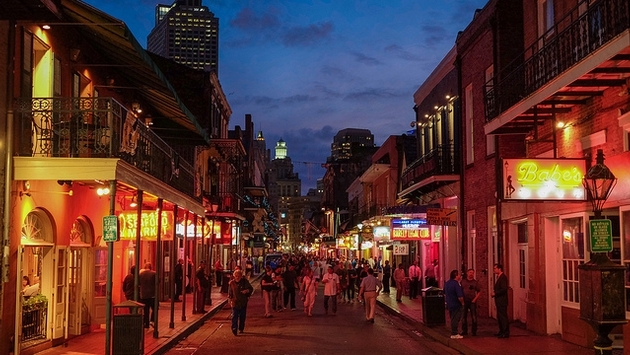 A bustling thoroughfare such as Bourbon Street would do well as a pedestrian-only area, allowing visitors to hop from one locale to another with a bit more assurances of safety and freedom. Watters explains that the minute you take away cars is the second a cacophonous crowd begins to gather made up of protestors, performers and myriad other people craving to be heard. In the end, officials are eager to make some change to infuse a popular place with more assurances of safety. There is no such thing as a perfect plan, but New Orleans officials are hard at work to find a way to make its prized tourist destination as safe as it can possibly be.